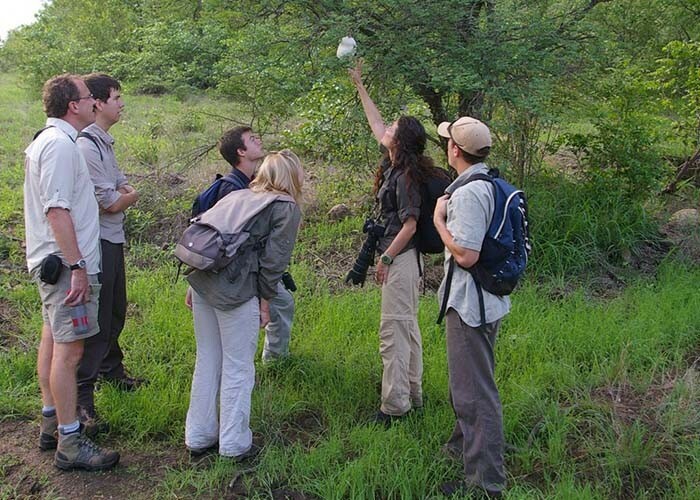 Antares Field Guide Training Centre was established in 2000 and is an owner-run facility. With over 30 years guiding experience and 18 years of guide training, Ian Owtram will inspire all students to reach for the stars and achieve their dreams. 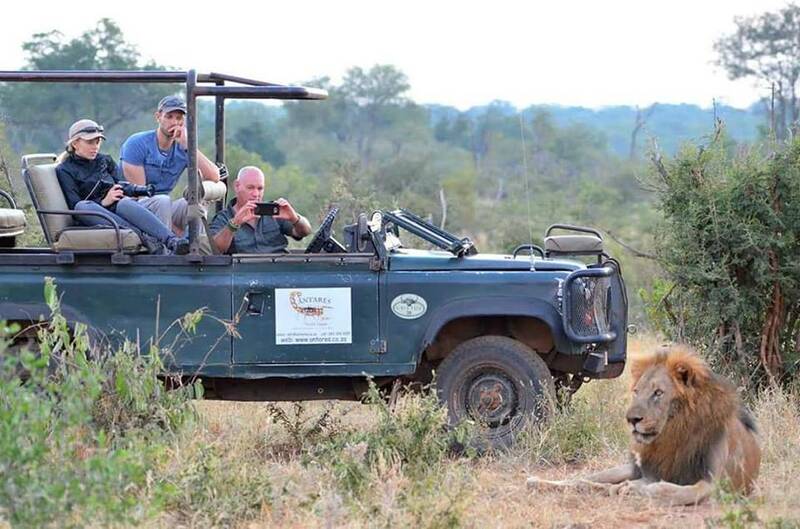 The facilities are based on the Grietjie Nature Reserve, part of the Balule Nature Reserve and incorporated into the Greater Kruger National Park. This course will run over 6 months, split into 5 semesters of one-month each and a week break in between. The initial section will prepare the student for the NQF2 assessment while introducing some more specialist subjects required for later on. There are a number of additional certified courses included such as tracking, specialist birding, Advanced Rifle Handling and others which will give the student the best possible start to opening doors in the tourism industry. All course materials and related excursions, access to an extensive library and all training facilities, accommodation, free Wi-Fi throughout the centre, all meals, teas, coffees and cordials, and comprehensive public liability insurance cover. A Trails Guide theory exam and practical assessment is also included as well as all the NQF 2 inclusions as above. A comprehensive clothing issue as part of the Antares uniform. This course will cover the basic NQF2 syllabus only. The course will run over 5 days/week, with students having the weekend to relax or catch up on any required study and workbook assignments. FGASA registration, first year membership subscription, one exam fee and a level 1 practical assessment to be taken during the course. A basic clothing issue as part of the Antares uniform will be supplied. A basic set of recommended books valued at just under R1000. The facilities comprise 4 bedrooms (all single beds) and 3 shared bathrooms. The bedrooms can accommodate either 2 or 4 people. The kitchen is fully equipped and the dining area and lounge are open plan. The centre is fully electrified but we also have gas geysers as a start towards a more eco-friendly future. Laundry facilities are available. The classroom is air-conditioned and each student has individual desks. A small plunge pool is available for those hot summer days. Sleeping bag, roll mat and hiking tent for use on a wilderness trail. Phalaborwa is a medium risk malaria area in South Africa, so students should obtain advice from their local GP about suitable medication and prophylaxis options. The facilities are within a big 5 reserve and are fenced off against elephant but all other animals can and do move through the area frequently.